Flight controls in Anthem on PC have been subject to some criticism. The same goes for the swimming control sensitivity in the PC version of Anthem. Fortunately, the developers have included settings for the Anthem PC flight and swimming controls that should help you out. So, here’s our Anthem Flight Controls Settings – How to Adjust on PC guide to help you find these settings, and explain how they work. 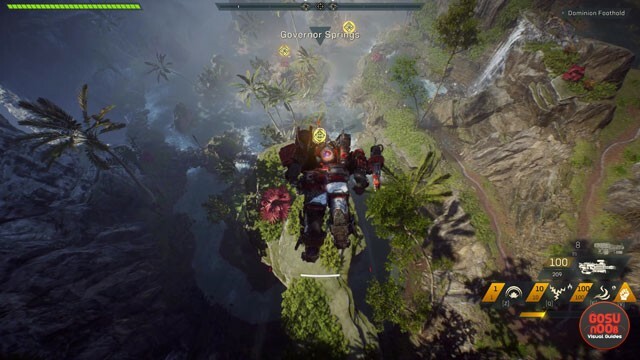 How to Adjust Flight Controls in Anthem on PC? To adjust flight controls in the PC version of Anthem, go into Settings, and then go to Keyboard + Mouse. Here, you’ll be presented with several sliders that adjust both flight and swimming controls (and you might want to fiddle with the swimming, as well). The settings you should look out for are Flight and Swim Mouse Precision, and Flight and Swim Mouse Response. So, there you have it. These settings will help you curtail the very “lively” flying and swimming controls. Of course, this will require some testing. You want to make sure everything is set up to your liking before jumping into real trouble. So, it’ll probably be a good idea to try out different settings in free roam. Then, once you have everything going the way you want it to, you can go ahead and dive into the missions. This is gonna be pretty important, because many people have been complaining about the janky flight and swimming controls on PC. If you need further help with Anthem, check out some of our other Anthem guides, including How to Unlock New Javelin Suits and How to Activate Main Menu Konami Code Easter Egg.